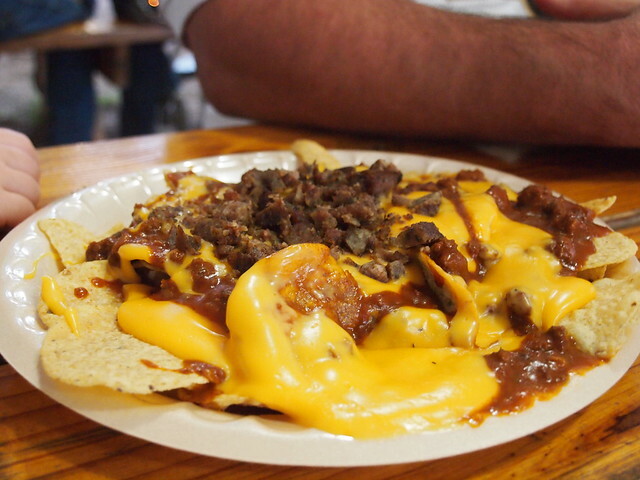 The State Fair of Texas is a three and a half weeklong event that includes everything you expect from a Fair only on a grand size. The State Fair of Texas takes place in the art deco style Fair Park in Dallas. The entire park area has unique art deco style buildings and museums with a concert stage, livestock area, merchandise vendors and food vendors worked in throughout the entire complex. 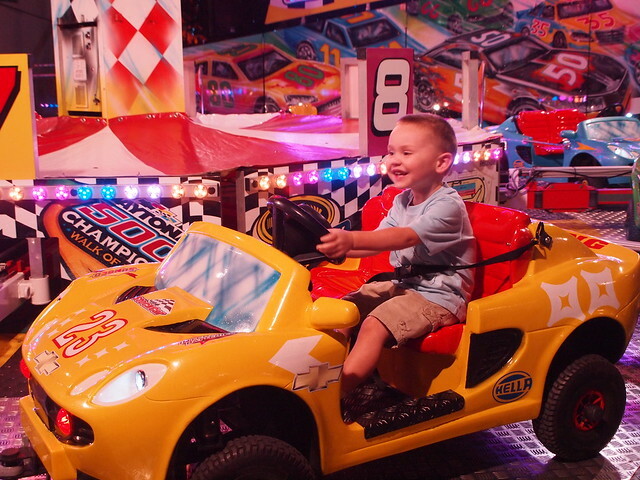 The complex also features a huge midway and ride area for all of the carnival games and rides you expect from a fair. 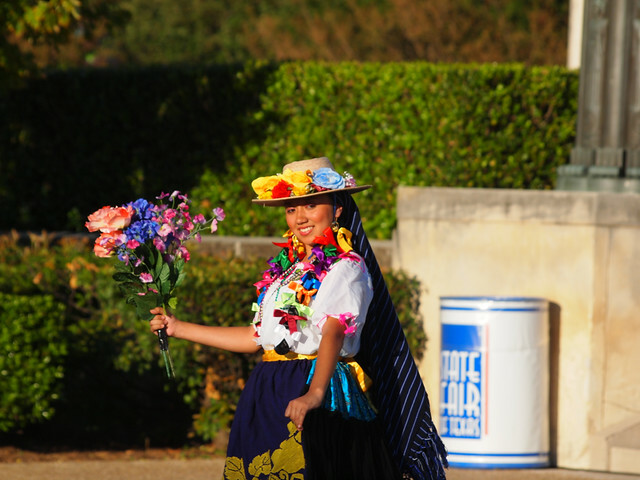 In the heart of Fair Park, you’ll also see Big Tex. 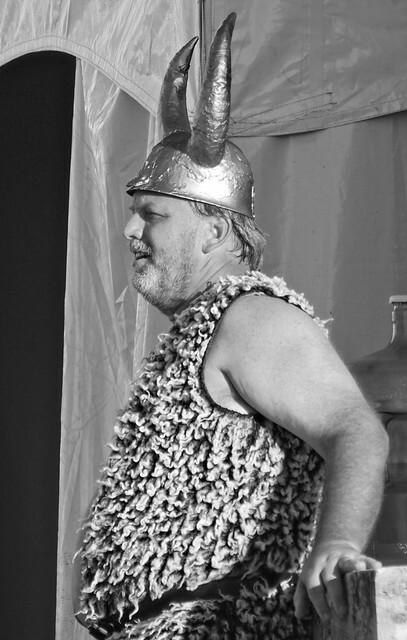 Every so often he talks and moves his arms about to tell you all about the fair and what’s going on. 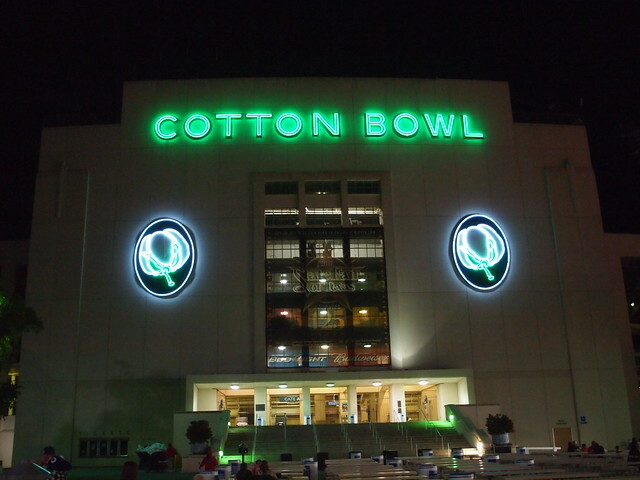 You’ll also find the Cotton Bowl Stadium, in which a heated football game is played every year during the fair. This year they held the Southwest Airlines State Fair Classic, which featured Gambling State vs. Prairie View A&M and the AT&T Red River Rivalry, which featured Oklahoma and Texas. 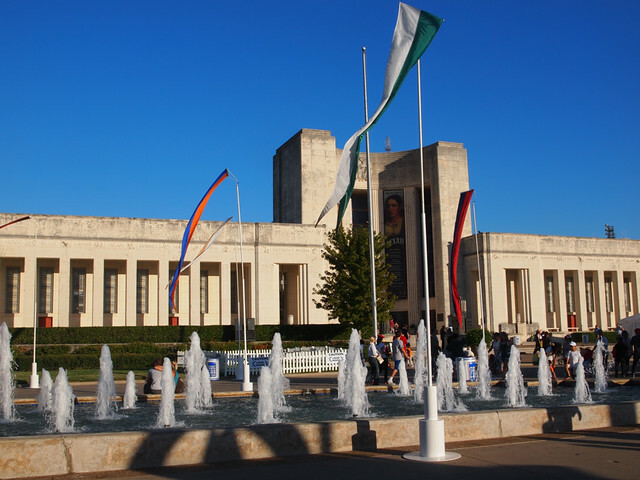 Other attractions within Fair Park include the Museum of Nature and Science and the Texas Museum of Automotive History, as well as the Dallas Historical Museum. We tried our best to see everything that we could at the fair while we were there. We started with the a few vendors where they had all sorts of arts, crafts, home décor and other items for sale. We got hustled into take the Silverleaf Resort timeshare tour and we browsed the State Fair Auto Show and Truck Zone. 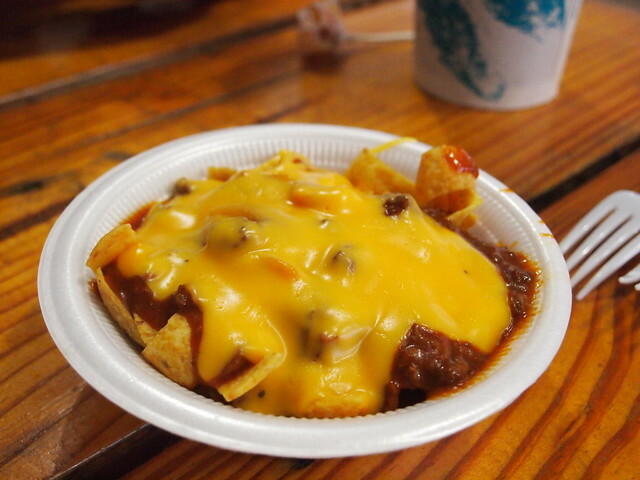 Of course, we also ate a lot of food that wasn’t exactly good for us, like gator on a stick, deep fried Frito chili pie and pork sausage nachos. A big hit with our son was the petting zoo. They had a wide variety of animals from goats and sheep to donkeys, llamas and ostriches. 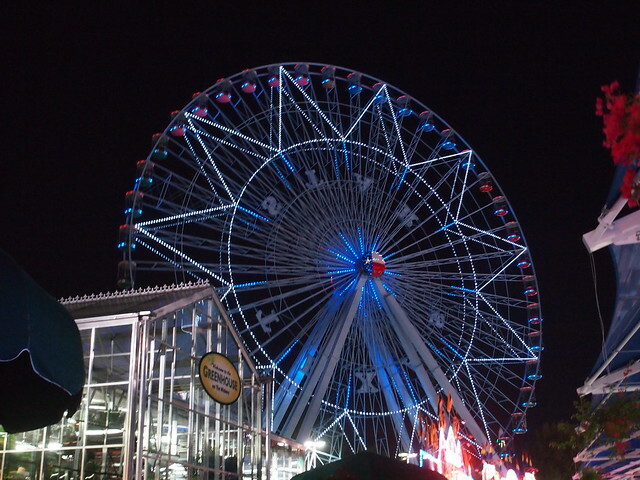 Overall we had a great time at the Texas State Fair. This will definitely be a family tradition for years to come.